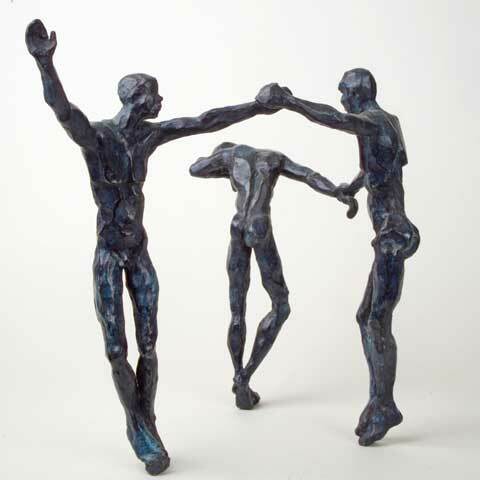 Men caught in momentum, frozen on the brink of carrying through a gesture. Straining to catch, in an almost perceptible shivering of the muscles, the very essence of movement, we see the unconquerable and constantly renewed power of an inexhaustible range of human feelings. Our senses marvel before this fragile alchemy of a perfect synthesis between movement and emotion.